I need some practical advice on how to deal with public tantrums and meltdowns and shrieking. It seems like sometimes when I try to stop the shrieking in public, it increases. I want to do what is right by my son, but I feel ignorant as he has just been diagnosed with ASD... Please help! 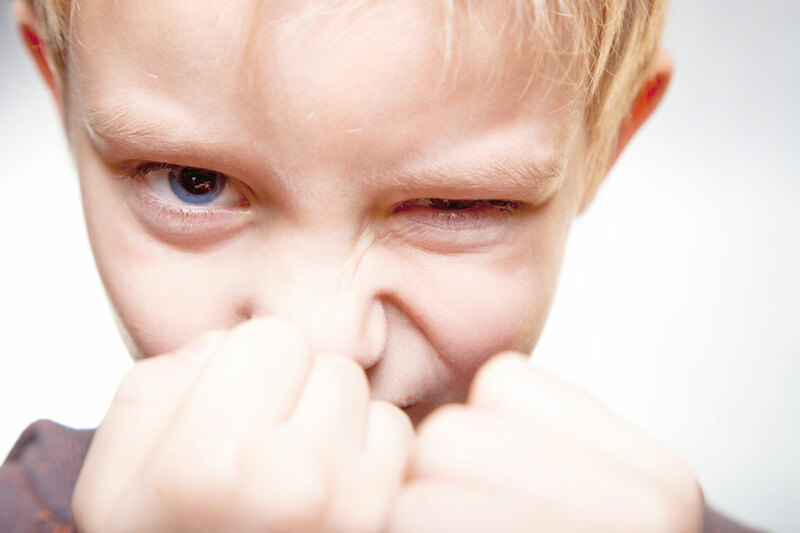 The tantrums and meltdowns caused by Autism Spectrum Disorders (ASD) can be very different than what most people would consider a 'temper tantrum'. They are caused by the same sort of things, but they may happen more easily, or for a much more unusual stimulus. In addition, it may not be that the youngster particularly wants something, so much as that the world has become too much, and he is simply lashing out against it. The most important part about dealing with tantrums and meltdowns is finding out what is causing them. While a lot of what is causing them can't be avoided, there will be some that can, and you can work on keeping him away from them or removing him from the stimulus if it starts. If it can't be removed or dealt with, asking your specialist about various coping methods would be a good idea. I'm not sure how old your son is or how severe his ASD is, so I can't give more detailed suggestions on the 'coping mechanisms'. For instance, if your youngster has a meltdown in a very crowded location, then maybe you can work on finding ways to avoid bringing him into very crowded areas and work your way up. Maybe it's strong scents, and you can keep them away from the perfume aisles. Of course, it may just be the usual emotional frustrations, which come even with the most neurotypical kids. Now, for actually dealing with them when they happen, the first thing you can do is to try and remember that the meltdown isn't something that needs to be punished. Most moms and dads might see it as a temper tantrum, but they are much different than that. It can help if you get in the frame of mind of "how can I help my son through this" rather than "how can I make my son stop this." Lashing out at the youngster will just make it harder, since he will be more terrified of losing control, seeing it as a bad thing. Instead, detach the youngster from the uncomfortable situation and work on some coping skills. Move it up a little at a time, if you can. He may never be able to handle everything, but he should at least be able to control himself well enough to say, "Mom, I need to go," rather than fall down and start screaming. Make sure that he feels you are a safe place in this, and that he can trust you to help him through it. Now, if these 'meltdowns' genuinely are a temper tantrum rather than an overload, it's possible that you'll need to start discipline to work on them. In that case, focus on treating them the way that most tantrums are to be treated (e.g., primarily ignore them; don't punish; don't reward, etc.). It's not easy, but it's probably the best way to handle a tantrum. Now, I'm not saying the youngster is having tantrums rather than meltdowns, but being unable to hear the details of what's happening, I'd rather cover all bases. • Anonymous said… hi my name is amanda and my autistic son no matter how bad it got i always kept a calm voice and low tone i just repeated his name over and over till i got through to him he always calmed down with low tone talking if you get angry of course he will respond with anger if you raise your voice he /she will do that too i found they respond to your tone .he once threw fit in store i kept my calm voice and he calmed down even though people were looking at us i kept my voice calm and he was done in 5 min . thanks for reading . • Anonymous said… My behavioralist (my son is 5 with ASD and SPD) says to ignore them. Make sure they are safe, offer other alternatives, try to distract, but if none of that works, ignore it. • Anonymous said… My son is HFA....diagnosed at age 15. When he was younger and had a tantrum. ....we removed him from the place. BEFORE we went anywhere, we talked about behavior. My neuro - typical daughter raised her hand to me me ONCE at age 16. She never did it again. Don't sell your ASD kids short, they "know" how to push buttons. We never coddled our son, before or "after" the diagnosis. • Anonymous said… One thing might be to begin to recognise when your child is already overloaded. When our son is overwhelmed we just can't go out. If we do it has to be very short. Maybe also see if there are sensory issues in some spaces like strong smells/sounds in some places and avoid them. Pubs with kids play areas for example. We use headphones so our son can listen to music to block stimulation. • Anonymous said… Same as you do with any kid. Pick him up and take him to the car. • Anonymous said… Take the child out of situation ( to car or otherwise) - as you would for any child. Aspergers doesn't mean they can't learn to know how to behave it's just they take s lot longer to learn... Explain calmly that screaming and shouting in public ( for whatever reason ) is not acceptable. Eventually they get it! • Anonymous said… To this mother,I would suggest trying two things. One we call "Red Balloon"-My daughter would hold her hands as if she was holding a ballon between them and slowly breathe out,letting the "bad/angry air" out. She would do as many "balloons" as required,until she felt calmer. Another thing to try is whispering. While they're shouting and screaming,whisper calming words. Your child will want to understand what you're saying,and will adjust their volume so they can hear you,possibly whispering themselves. • Anonymous said… What if,like me,you don't drive for medical reasons-so no car. And any attempts to move the child take superhuman strength because the "child" (my daughter is 16) is bigger than you and has become physically abusive when attempts are made. Then what? My 11 year-old has had the very verbal meltdowns in public. Do you know what calms your child down? For my son it's hugging (death grip type hugging). With my boys (all three on the spectrum), there is no way to reason with them during the meltdown. It's something that comes with the territory. I have seen tee shirts that say something about "I have Aspergers" (my 11 year-old) and ones about autisum. Not something they could wear every day, but if you know you might be in a public place (grocery shopping for example) maybe have your child wear it. There are pins and braclets like that as well, but passer-bys wouldn't see it. My son is 6 has pdd n did the same things! What has helped is bribery as bad as it sounds, not like ' I'll take you to Disney world's but realistic things n affordable ONLY if he starts having a meltdown.. I say if you stop I will buy a book or something small..I took classes on autism n sometimes bribery is not a bad thing.. The thing that works best for us is to 1. Acknowledge that we recognize he is upset in a calm way, crouching down to his level. 2. Trying to divert his attention to something else - hey, let's go look at the stuffed animals and see which ones are the softest. 3. When all else fails, I pick him up and remove him from that setting - even if it means taking him to the bathroom or out to the car. A simple change of scenery usually helps. Side note: I made 'business cards' for that inevitable rude person that thinks they know how to handle the situation better than you. Google 'autism business cards' for examples. Bribery for me..usually ice cream, works every time lol!! Meltdowns are jus part of everyday life for us now. I have been know to sit on the floor at the store with her and rock her until the melt down stops. I usually let it run its course. It used to be embarrassing to have others stop and watch, and then I realized my stress during the tantrum just amplifies her's. When Sophia sees me not upset or bothered, just soothing and comforting, it makes everyone else relax too. I remind her that she will be calm in few minutes just wait for it. I know in my experience I've met far more people who are amazed at what it takes to move through it, my patience, and my ability to encourage my son slowly to become more calm than those who are rude who stare and judge. But then again, in public I'm so concerned about his safety that I'm not really tuned into what other people are doing. I just don't care if they think they can do it better--I know that they can't. Try to be proactive to try to limit the stressors that create the situation. Once in the moment, just try to move to somewhere quiet if possible. Something to reduce the child's stressors. We have all been there. It takes time and practice, and also, what works changes, just like with all children. Don't be embarrassed by your child's behavior. People stare at things they don't understand. I simply say we are having an Asperger's moment. Those who know will understand. Those who don't just got a moment's education. If they want to still judge, then ignore them. My son when overwhelmed at school threatens to run away and has on one occasion. Now the teachers are paranoid to let him out at recess and drop off unless they hold his hand which causes more frustration cause he doesn't like forced touch. Any suggestions? ?? My daughter is 5 and has High-Functioning Autism, it's taken trial and error to find something that works for her, all children on the spectrum are different. For our little girl, she has her "3 step plan": stop, breathe, count. We have developed some signing for each step, "stop" being an out stretched hand, she then takes several very deep breaths, then counts to 10 or down from 10. We are fortunate that her school is very supportive, we shared this with them and they now use it too. The consistency means our little girl is beginning to manage meltdown (when not big the severest form) by following her special steps. I agree with all the others that say take them away from whatever situation has triggered it, otherwise we'd have no chance, steps or no steps!